Still looking for a last-minute gift for someone for Christmas? Woah now, pump the brakes there….ok let’s be honest with each other, shall we? I would love to launch into some subtly guilt-ridden talk about using this recipe as the perfect gift for the Christmas procrastinator, etc., etc. But the truth of the matter is that I’m the worst Christmas procrastinator ever. I am the one who proudly tries rounds up the guys on Christmas Eve to hit the shops…only to find out that they have already done their shopping. 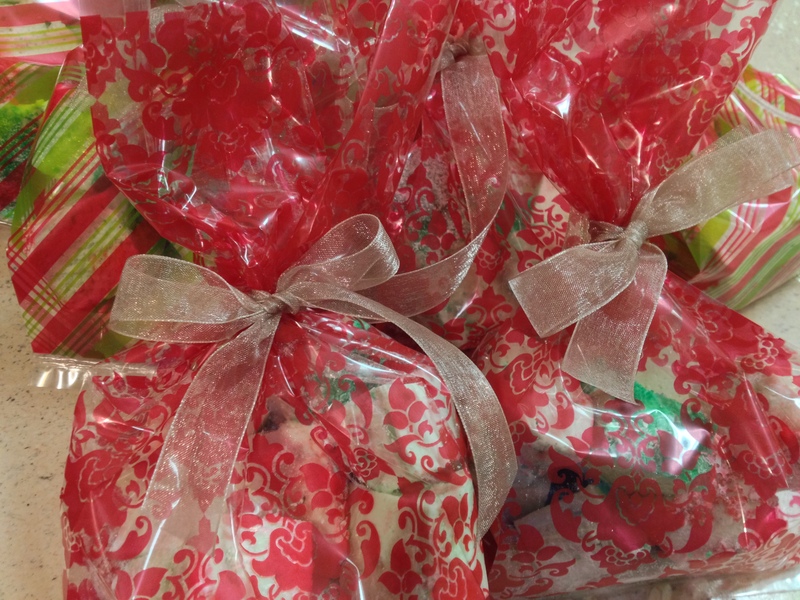 So I couldn’t rightfully tell you that this is a last-minute gift when it’s only December 20th and I’m already finished with some of my gift preparing (actually, they are for my coworkers tomorrow, so I truly did my best to wait til the last minute here)! All that to say, this is a easy breezy, procrastinator-friendly recipe that will leave you time to make some hot chocolate to put under the left-overs. Grease a 9X13 baking dish, dust with powdered sugar. Sprinkle the gelatin over ½ cup cold water and let it stand. Cook the sugar, corn syrup, remaining ½ cup cold water and salt over low heat, stirring occasionally. Once the sugar is dissolved, increase the heat and allow the mixture to boil without stirring until the temperature reads 240F on a candy thermometer. 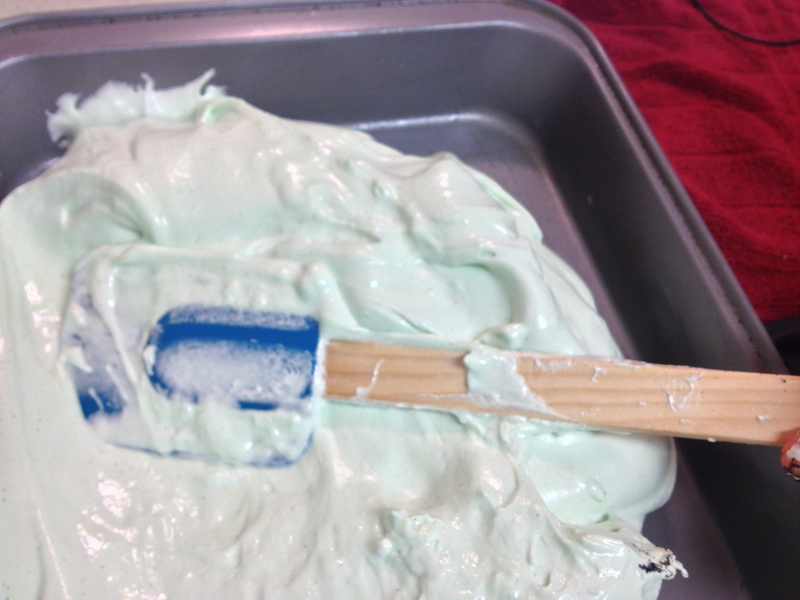 Remove the pan from heat and combine with the gelatin mixture in the bowl of a stand mixer. Stir until gelatin is dissolved. Beat the mixture on high until about triple in volume. This will take 6-10 minutes. Beat the egg whites in a separate bowl with clean beaters until a stiff peak forms. 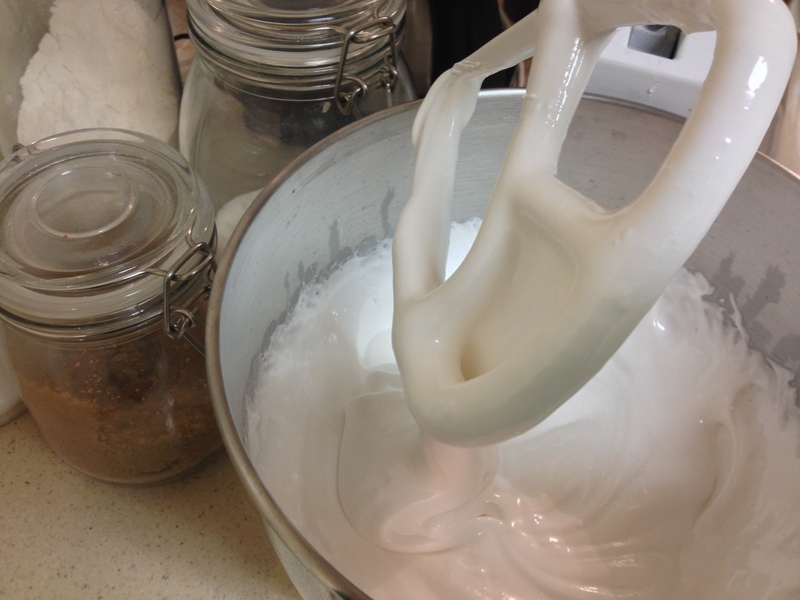 Beat the egg whites, vanilla bean and vanilla into the gelatin mixture until combined. Add food coloring if desired. Scrape the mixture into the prepared pan and refrigerate until firm, at least three hours. Run a thin knife around the edges of the pan. Cut the marshmallows into squares and remove from the pan. 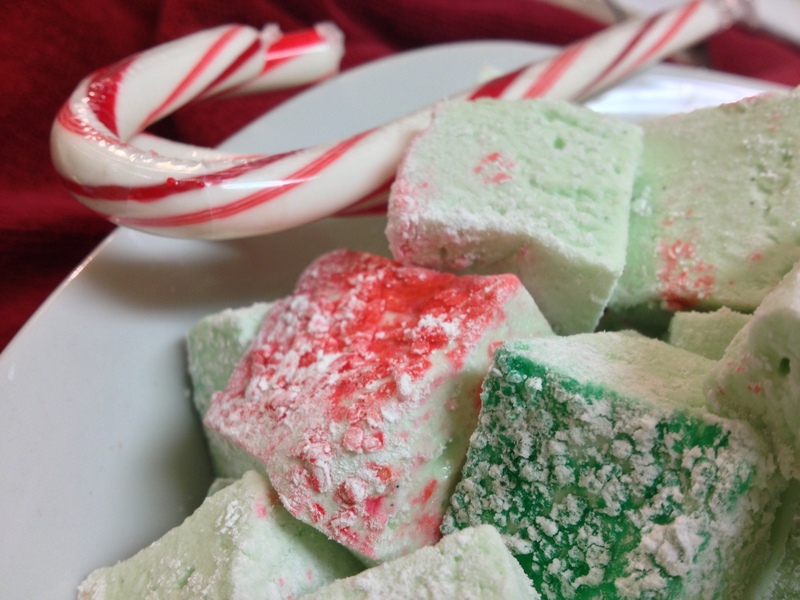 Place the marshmallow squares in a bag with some powdered sugar and shake to coat, dusting off the excess when you remove the squares from the bag. I put sprinkles on the top of mine to add a little extra color, you can coat the squares in sprinkles for a lot of extra color if you’d like! Pack them up and give them away! Or eat a few. Or save them for up to a week in the refrigerator. Seasonal Sunday: Get Ready for Memorial Day Celebrations!